Jesmyn Ward grew up in rural Mississippi on the gulf coast. Even before the devastation of Hurricane Katrina, the region suffered from a sagging economy and enormous poverty. Factories were pulling out, heading south of the border, limiting blue collar workers to jobs pumping gas, parking cars, or serving up fast food. But it was the area Ward’s family knew, the place they all returned, even those who left to pursue opportunities elsewhere, and it serves as the setting for her memoir, MEN WE REAPED. Over the course of four years, Ward lost five young men she was close to, including her brother, and the story of those deaths alternates with her account of growing up poor and black in the South. This structure allows her to convey the realities of the culture, where poverty feels inescapable, where jobs don’t pay enough to support a family and dealing drugs becomes the only option, and where a sense of fatalism colors daily life. At the same time, Ward shares the feeling of family and community that comes from living generation after generation in one place, where everyone knows each other’s story and history and understands the circumstances behind their decisions. I wanted to read a book that would help me better understand what it means to be black in the United States. I am a white woman from an upper-middle-class background with a college education and a white-collar career, and while I don’t consider myself racist, I know that doesn’t mean I’m immune to the weight of decades of social and cultural conditioning. It is one thing to learn the history of oppression, to watch the news and see how far we still have to go to reach true racial equality in practice, and another thing to be able to walk a mile in someone else’s shoes and understand what it feels like to be caught in that reality. Ward’s memoir provides the next-best thing — an honest, thoughtful look at her own experiences and the understanding she has gained through her own reflection. One of the most painful realities of Ward’s account is how few opportunities there are for her and her siblings and their friends growing up to improve their prospects. Anyone claiming America is still the land of opportunity needs to take a closer look at the American South. Over and over, Ward talks about the sparsity of jobs, the inability of the men in her life to find real work with any chance for advancement. It is a recurring theme, even for those with a better education. Ward ends up attending a private school, paid for by one of the families for whom her mother cleans house, and gets a scholarship to Stanford University, but even she, returning with two degrees under her belt, cannot find a job in Southern Mississippi, and is forced to move to New York. Ward worked hard once the opportunity presented itself, but it was pure chance that allowed her to receive her education. Not everyone can relocate in search of fresh opportunities, and even when they do, there is a sense of disconnection. Ward’s parents start their life together in California, but eventually move their family back to Mississippi. Ward in turn finds work in New York, but misses the familiarity of the place where she grew up and the people she loves. She can support herself in New York and build a career, but she cannot recreate the sense of belonging she has back home in Mississippi, and ultimately she returns to the South to teach at a university in Alabama. Stark as this story is, with the unrelieved poverty and the senseless death, there is also that ray of hope generated by Ward herself. She stands for the friends and family she has lost, bears witness to their memory, and at the same time forces her readers to truly see the cycle of poverty and racism that continues to plague the South and the nation as a whole. 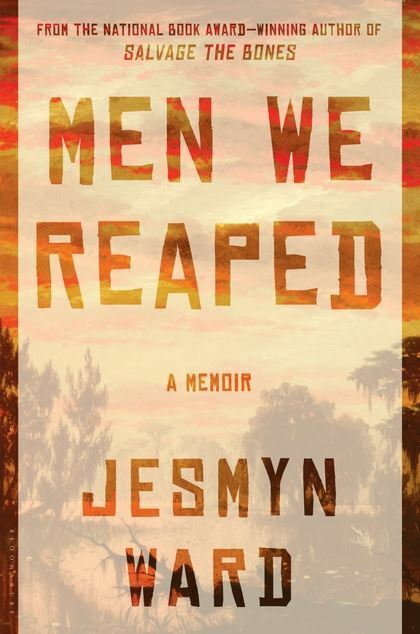 MEN WE REAPED is a haunting and important work, and essential reading at this latest crossroads in American race relations.